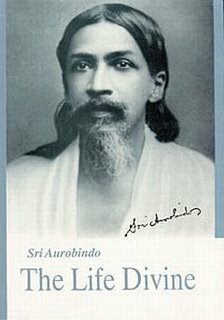 In Chapter VI of The Live Divine, Sri Aurobindo mentions that the aspiration of man reaches its ‘fulfilled perfection’ if it is in consonance with the highest step of the ‘world –pervading Vishnu’. We shall try to understand why He brings in the symbolism of Vishnu. sciences’ for theories, it also depends on ‘social sciences’ for execution. Thus ‘Environmental Sciences’ is more ‘pervading’ as a discipline then either ‘natural sciences’ or ‘social sciences.’ If this is true at the material level, how much more true to the mystic must be the concept of the ‘ALL PERVADING’ nature of Vishnu – the sustainer of all existence at the cosmic level. In fact, in the concept of Vishnu the phenomenon of sustenance has been given a different dimension. The creation as a phenomenon has been manifesting and dissolving in a scheme of eternal recurrence. Each time the creation dissolves, the memory-traces are left behind in the cosmic inconscience, in that timeless poise where Vishnu as ‘a power of fallen boundless self’ (a phrase used by Sri Aurobindo in page 1 of Savitri) is in ‘anantasajjya’ or ‘creative slumber’ of the Infinite Being. These memory traces act as templates for future creations. Thus even during the phases of dissolution where the manifestation gives place to a fathomless nothingness, Vishnu, in the poise of the cosmic Self, sustains the essence for future manifestations and hence preserves the thread of continuity. onance with the highest step of the ‘world –pervading Vishnu’. We shall try to understand why He brings in the symbolism of Vishnu. Is Dissolution of Existence the only outcome of Existence?